The Central NH region of New Hampshire is what many call a place to be. Picturesque landscapes, rolling hills, and a community built on support. The diversity of our towns help to create the local economy built of primarily small businesses; some of which have prospered for generations. Our region is an ideal community to raise a family, grow a business, and connect within our towns. At the convergence of the Pemigewasset and Baker Rivers, the region’s landscape and recreational options abound with possibilities ranging from the adventurous to the leisurely. Our regional area includes many of New Hampshire’s spectacular lakes such as Squam Lakes and Newfound Lake, and also includes the start of the majestic White Mountains area of Waterville Valley. Whether it’s brilliant fall colors, a backwoods excursion, a New England White Christmas, tournament fishing, a sample of fresh Maple Syrup, a family ski trip or a bit of tranquility, the Central NH area is the place to experience it all. Relax and enjoy the adventure! 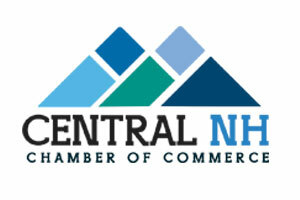 Central NH Chamber of Commerce (CNHCC) is the channel for business and community connections, fueling the economic engine of Central New Hampshire. Alexandria, Ashland, Bridgewater, Bristol, Campton, Center Harbor, Danbury, Dorchester, Ellsworth, Groton, Hebron, Holderness, Meredith, Moultonborough, New Hampton, Plymouth, Rumney, Sandwich, Thornton, Warren, Waterville Valley, Wentworth, and Woodstock. Get a clearer view of our membership benefits.